Pondering, pondering, Sally Russick from The Studio Sublime has given us the prompt this week to express some WORDS in our minimalist photography. After discarding my original idea due to the inadvisability of outdoor photography in our current cold snap, I drew some....words. My choice stems from the fact that I really do rely on words for almost everything I do. 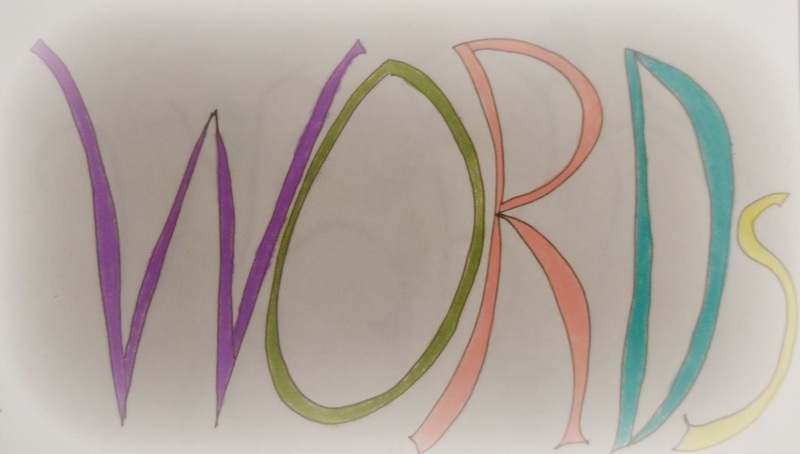 Even drawing incorporates words quite often. I love your interpretation of the prompt! I don't know what we would do without words. I like how each set is just a little different and love the colorful letters. 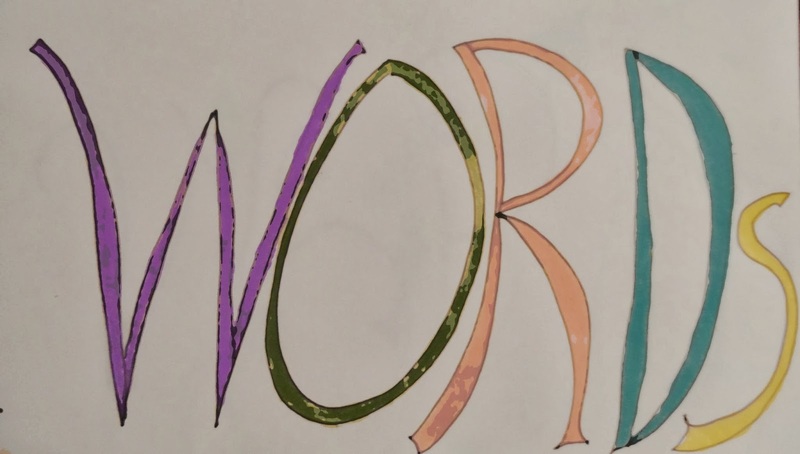 I used word to create my word... Totally lazy ran out of time.. Your word is much more creative than my word and very cheerful! I pondered, discarded, discarded again so many words. It' was difficult to choose. I like you editing of your word. 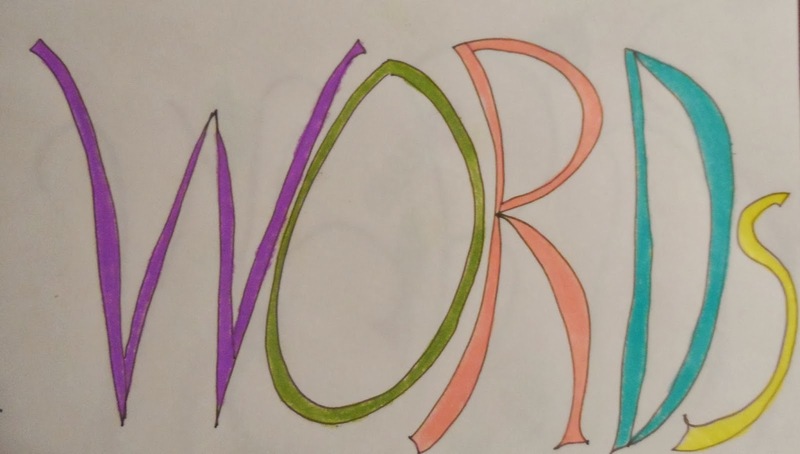 Yep - love that you drew/colored your words - perfect for this week's prompt. I like the first one,...really neat! Focus on Life: Cabin Fever - Getting outside! Focus on Life: Black and White Self Portrait.